MEET Andrew Stevens! He’s a mixed grazing and cropping farmer from Mangoplah, NSW. Andrew knows he can rely on his mates in the grain industry when he needs a hand, and his family enjoys being exceptionally innovative and active members of their local community. 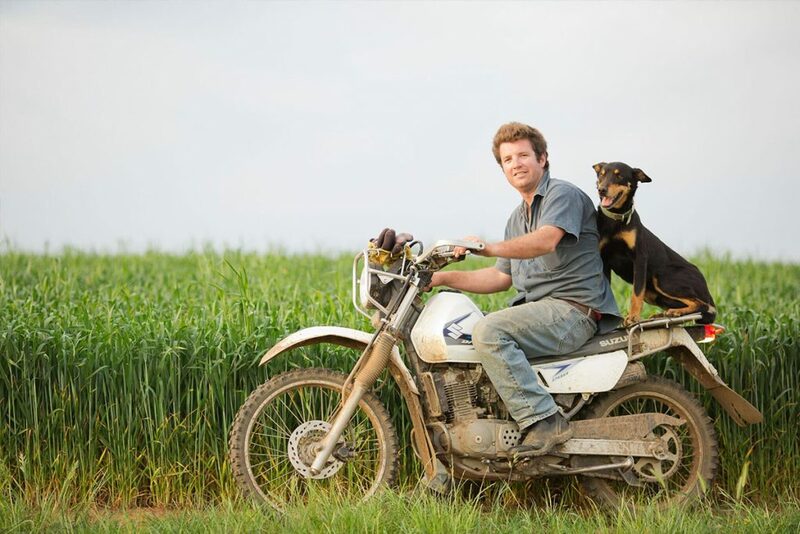 Andrew, wife Ginny, and twin 9-month-old babies live on their family farm that comprises of roughly 5,000 ewes which they run predominantly on phalaris/clover, native and lucerne country. The family also farm 300 hectares of canola and wheat. So, what is Andrew continually striving towards? Andrew is continually striving to make a better price per hectare. He believes that timing is the most important factor here, and that this means getting the fertiliser, sowing and harvesting all down-pat in as timely a manner as possible. What does Andrew love most about his lifestyle in grain? Andrew loves the freedom that comes with the rural lifestyle. He says that he enjoys “not having to deal with traffic” (I think we can all agree on that!) and that he loves being out and about in the community with friends and catching up with his mates for a beer at the local pub. What can Andrew rely on his mates for in the grain industry? Did you know Andrew’s wife, Ginny Stevens, was one of 2018’s NSW-ACT AgriFutures Rural Women’s Award finalists? Ginny created Active Farmers – a successful not-for-profit organisation which “brings together farmers and other locals in small farming communities through group fitness in a fun and interactive environment”. The program now runs in over 20 rural communities. But it doesn’t stop there! 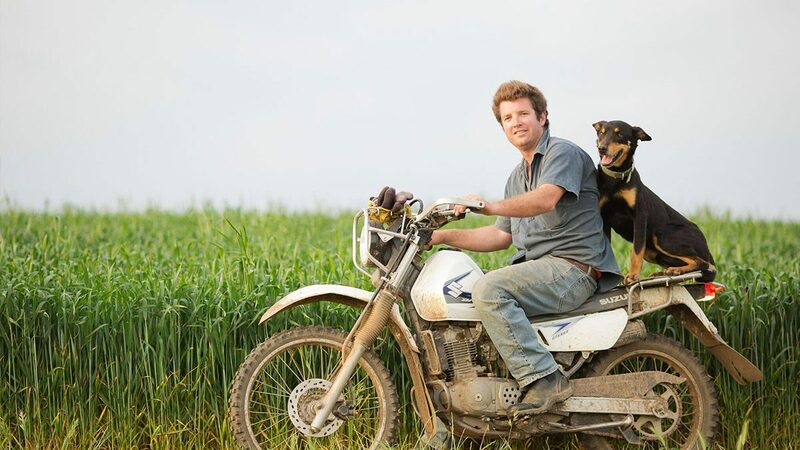 In 2015, Andrew created his own business called ‘Agtribe’ which allows farmers to hire machinery, both wet or dry. You can check it out at: https://www.agtribe.com.au/. Keep up the good work Stevens’ family! Leave a comment to show your support for the Steven’s family.